Introducing a new way to fend off pesky and annoying mosquitoes, ticks, flies, and fleas! 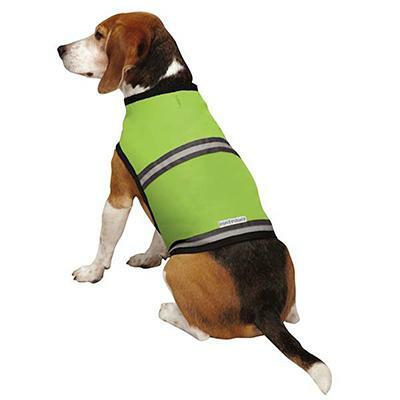 The Insect Shield Protective Vest is designed to provide long- lasting protection against the aforementioned foes. The cotton canvas fibers of this vest are bound with an effective permethrin formula that is long-lasting, odorless, and invisible. Two reflective safety strips help with visibility in low light. This product is completely safe for both pets and humans. Camping and playtime have never been so easy and comfortable!